I recently had the pleasure of meeting Claire and her beautiful children James and Isabella. Claire wanted a formal portrait of her and the children together. 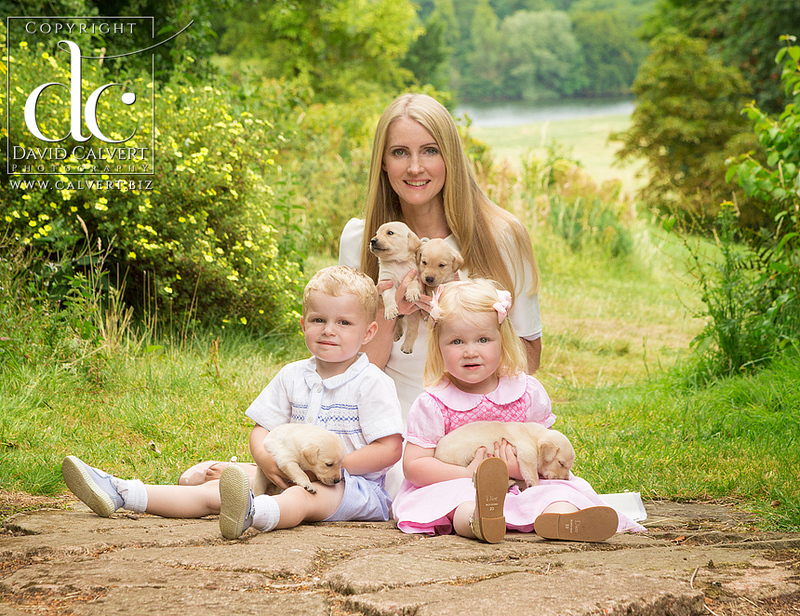 We had a glorious location and thankfully the weather held for the outdoor portraits, which included photographing everyone with some absolutely gorgeous Labrador puppies! Everyone who was involved in the shoot wanted to take them home! Would you like to see some more examples of our family portraits? Visit our main website here. All photographs copyright © David Calvert 2016-2017 All rights reserved. Unauthorised copying strictly forbidden by law.